Niceville and DeFuniak Springs, FL (July 15, 2018)…Meet Riley and Cody, trained therapy dogs and their owner/handler, Jacqui Broadus. They help make the day a little better and brighter for child victims receiving services at the Emerald Coast Children’s Advocacy Centers (ECCAC) in Niceville and DeFuniak Springs. Jacqui Broadus is a licensed Mental Health Counselor Supervisor on staff at ECCAC and a Registered Pet Partners Therapist. Jacqui took the lead in pet therapy programs at ECCAC beginning in 2010. 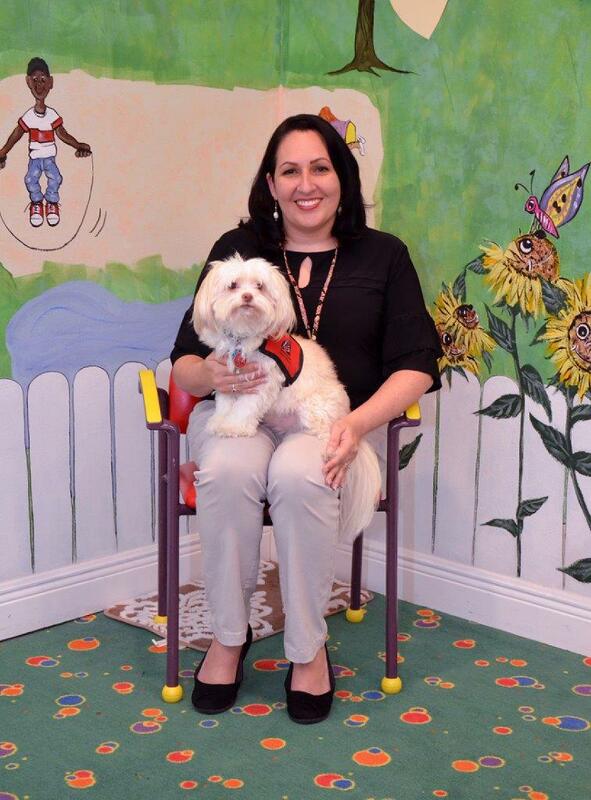 That’s when she brought Riley, the adorable Maltese, who is also a Registered Pet Partner and an official AKC Distinguished Therapy Dog™, to ECCAC in Niceville to work with the kids. Then Jacqui also brought Cody in as an additional therapy dog to help Riley. Over the years, Jacqui and her trained four-legged partners have put in hundreds and hundreds of hours helping child victims. Riley is getting older and working his way towards retirement soon. Cody is going full steam ahead working a full time 40-hour week at the centers. Above - Jacqui Broadus and Riley, a Maltese. Below – Jacqui with Cody, a Malti-Poo.